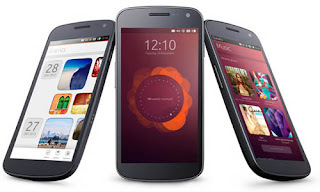 Ubuntu For Phones - Is This The Best For Your Smart Phone? It seems that Ubuntu Linux is causing a lot of confusion. This hasn’t hit the shelves yet but it will not be too long before it does because when it does, it will be in force. So, what is Ubuntu exactly? Well, this is for smart phones but even though it is for Linux devices, there are not going to be any other versions out there. There is only going to be one version, not three or four separate versions for each different device which is a little disappointing. It does seem that it will be in 2014 – April of 2014 that Ubuntu will be appearing on the market. It will mean that one version will be supporting all images including computers, smart televisions and of course the latest smart phones. It does seem that it is a very long wait for 2014 for the Ubuntu to appear on the market but perfection takes time to perfect. The technology is going to be perfected soon enough though; so Ubuntu is going to be on some smart phones very soon. There will be a BETA version of Ubuntu on smart phones soon – maybe less than two months so keep your eyes open! However, if you do want to use this version, you will need to have a smart phone which offers a 1 GHZ Cortex A9 or anything which is more up to date. The processor is going to be important because it needs to have a capacity of 512 MBs of RAM and almost 4 GBs, maybe even more. The smart phone will need to have an SD Card and maybe even a multi touch screen – so a latest up to date phone and not one which is just a basic phone. This might not be the best for those who wish to test this out but you never know what could happen. Though, it does seem that most phones will have most if not all of the requirements that are necessary. There could be a trial run of Ubuntu also available supported on a desktop via a phone. This is not going to be one of the easiest forms to do so be careful. There will be a requirement of an Intel Atom processor to run this with or even a quad core A9 so it might be a problem for some. There will also be an increase of storage requirement as well as a multi touch screen function. There is such a difference from Ubuntu for Android and Ubuntu for Phones! There is so remember that because you will be using your Android as your OS but you will also have Ubuntu which means that you can have the ability to use this with a computer. You can use a keyboard, a monitor as well as a mouse so it is going to be very impressive. Though, working with the two might not be simple for everyone to get their head around.